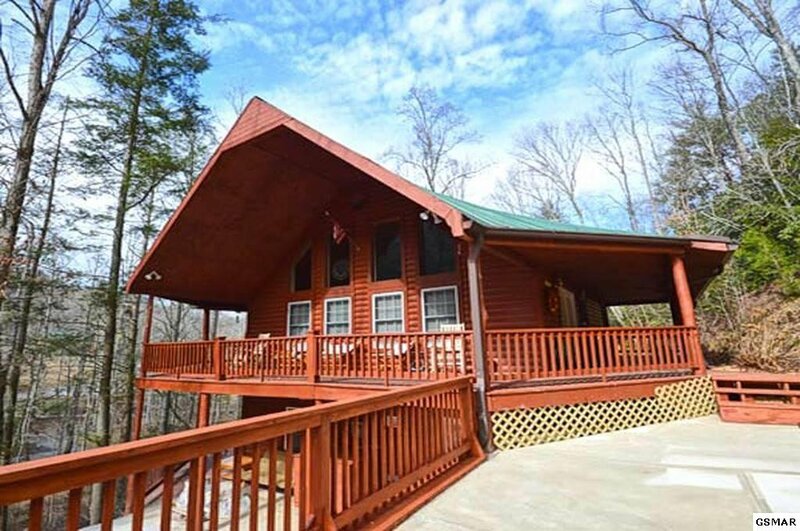 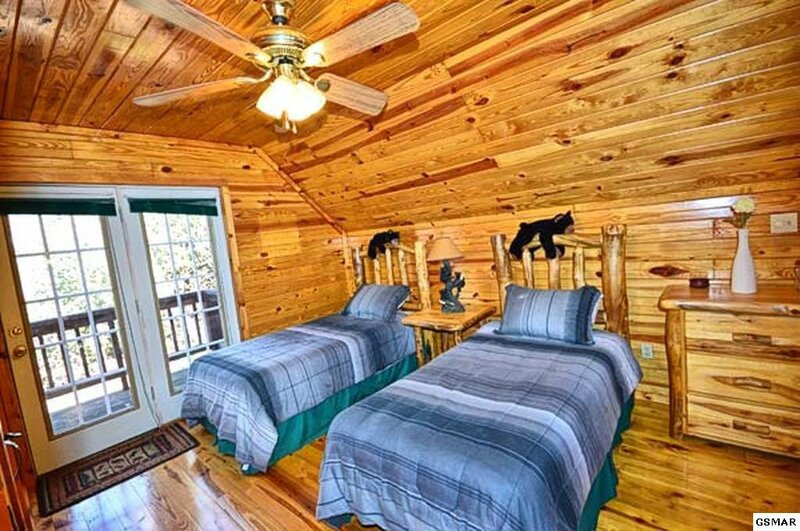 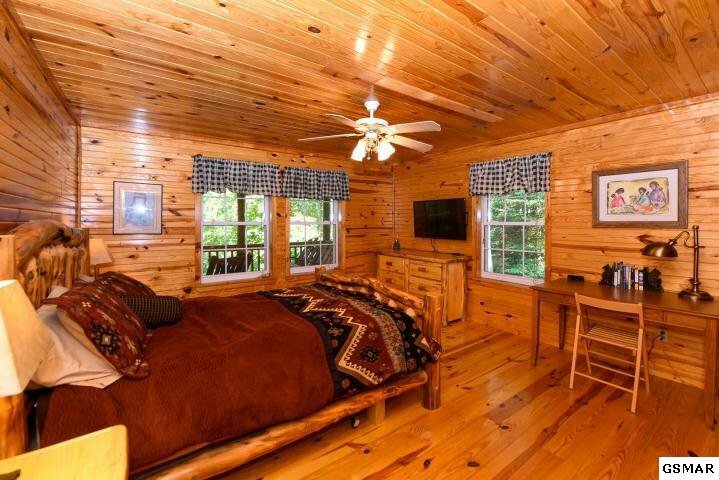 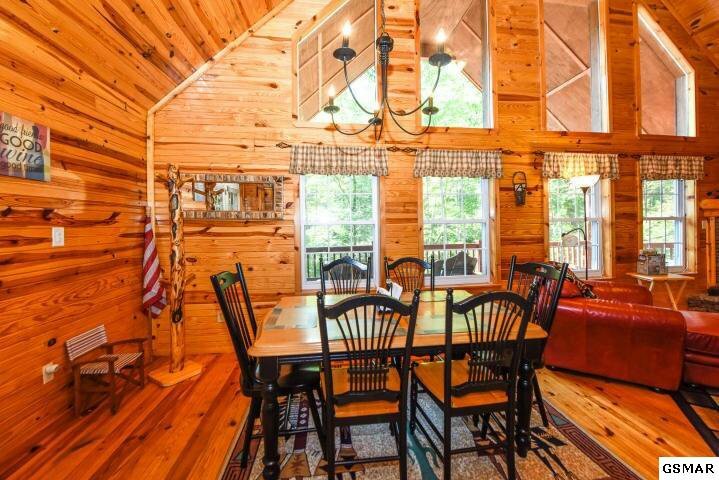 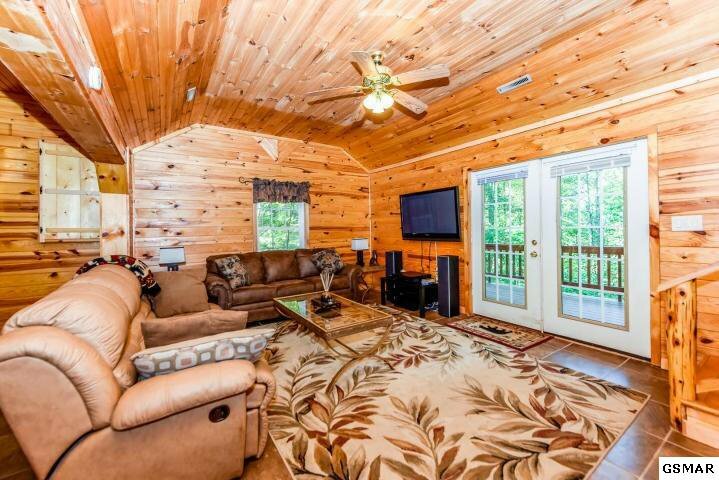 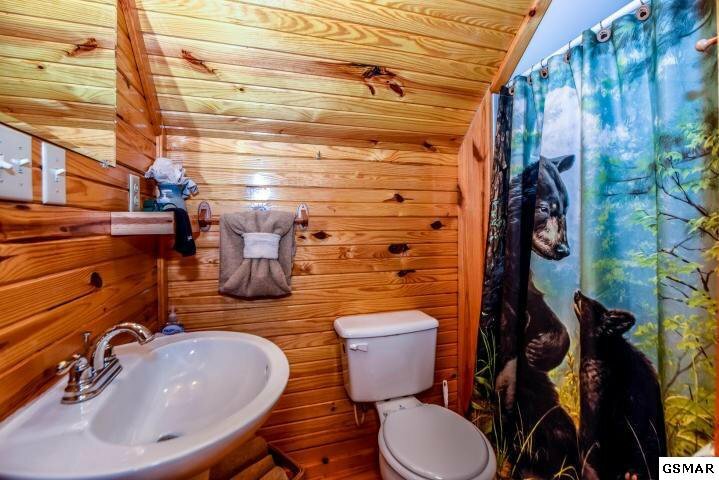 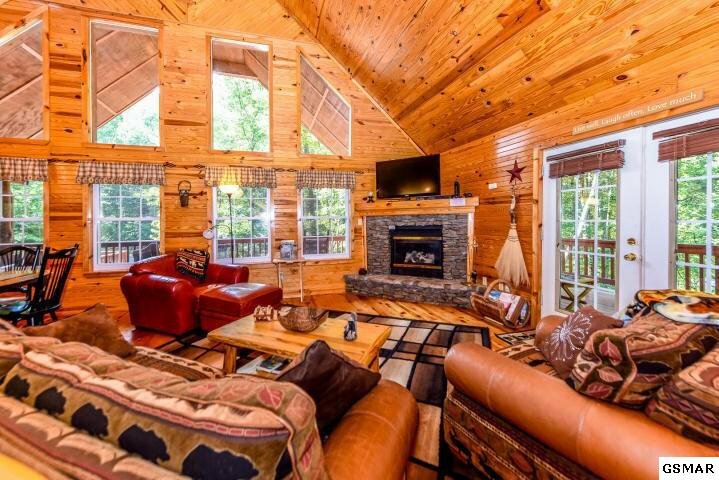 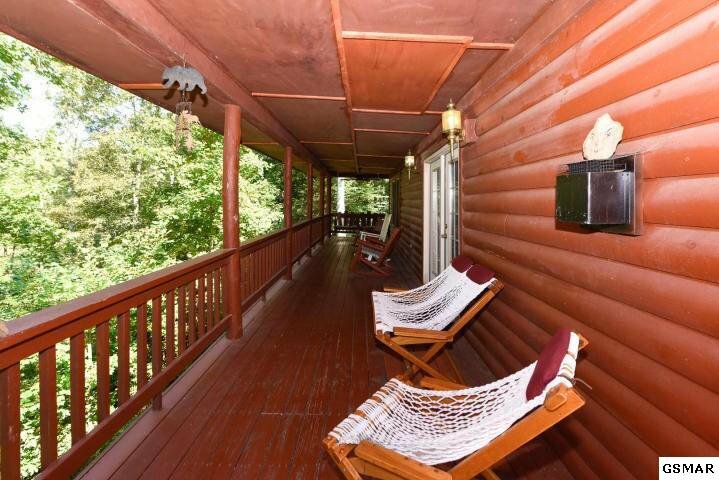 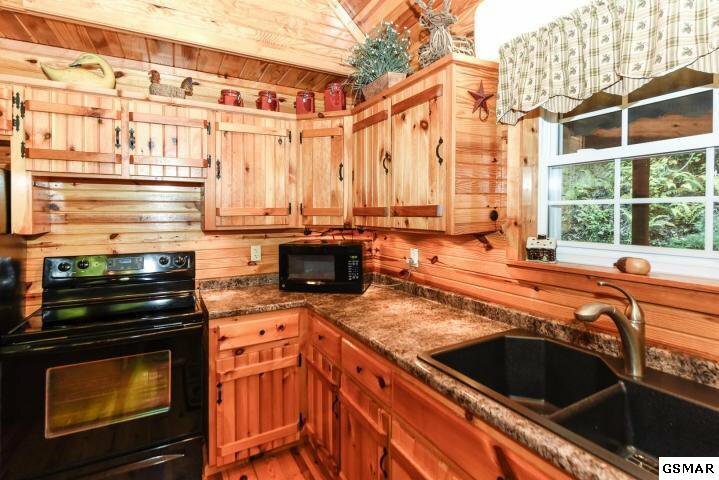 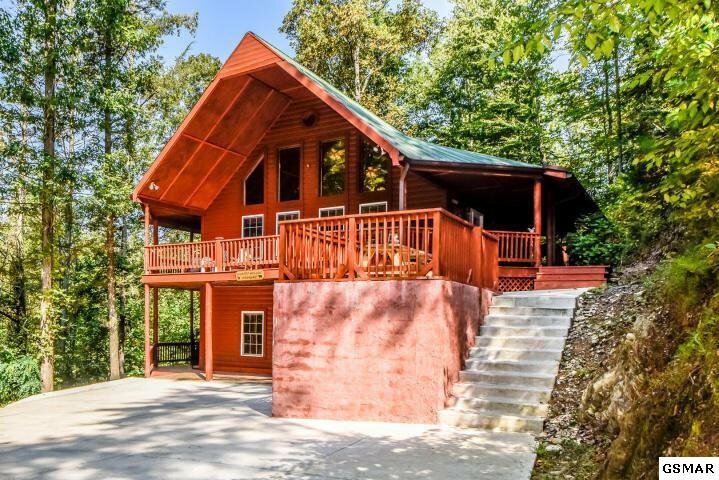 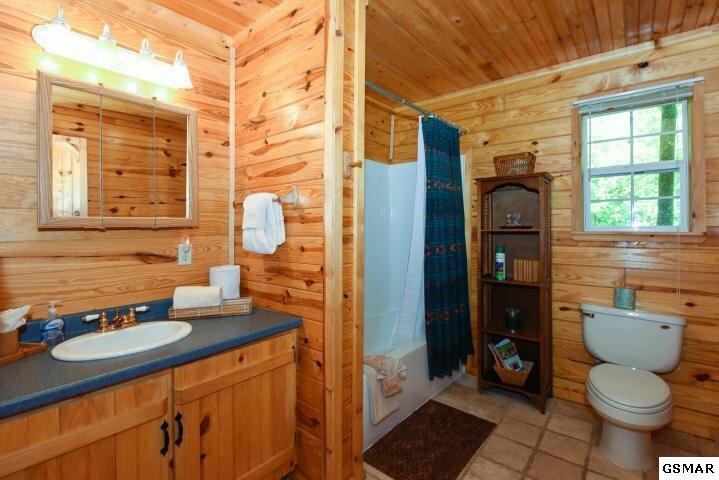 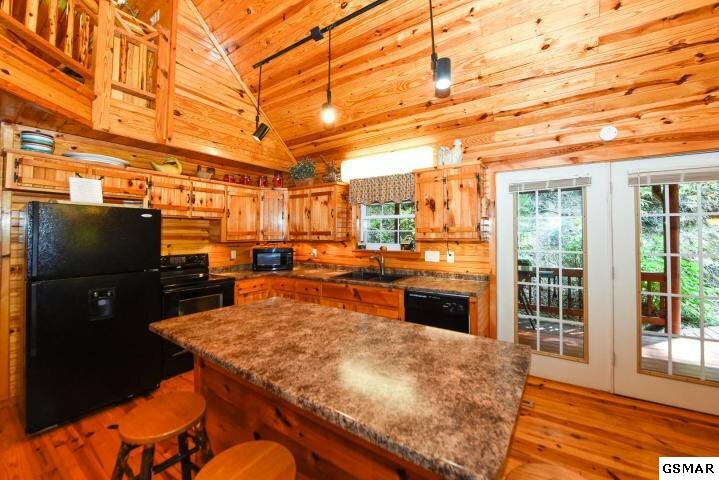 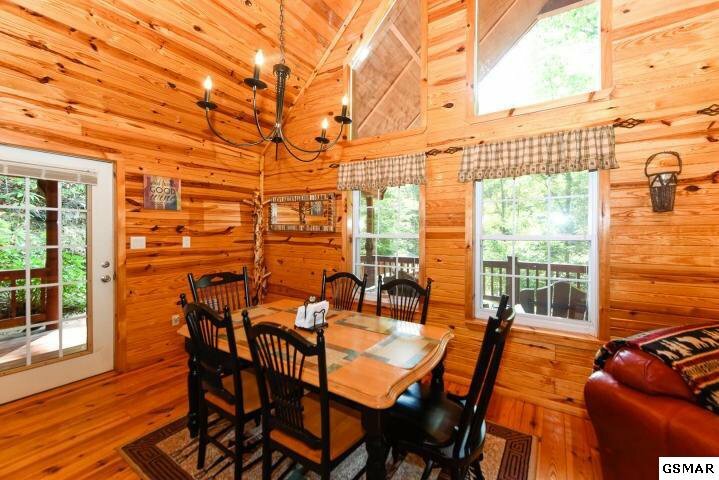 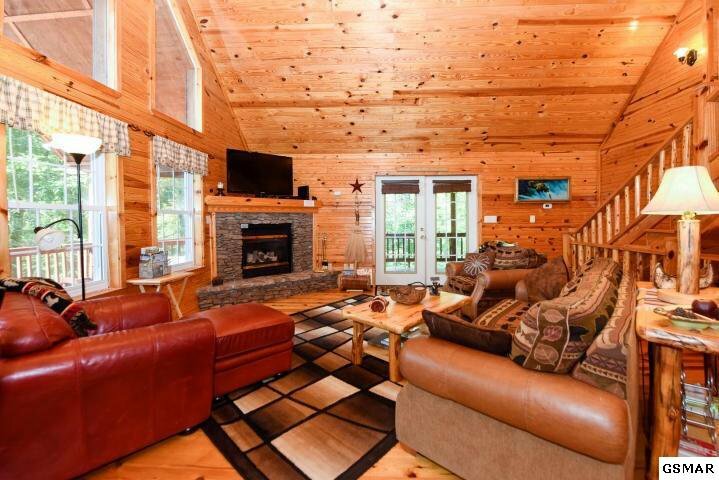 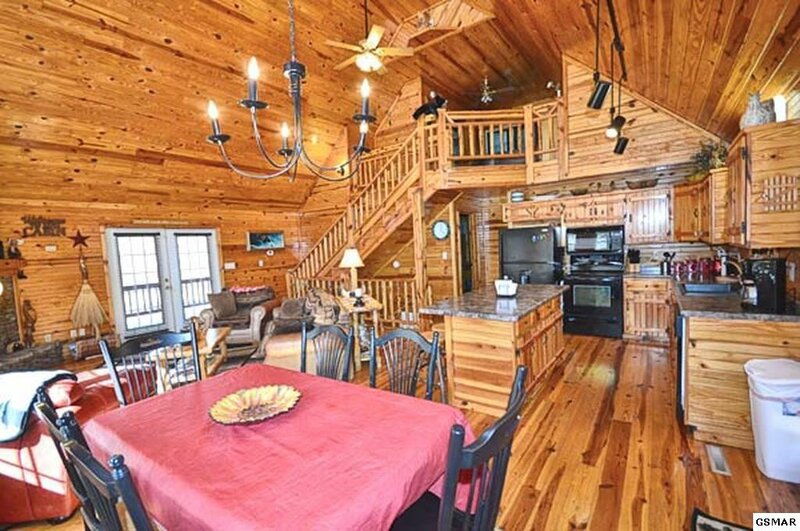 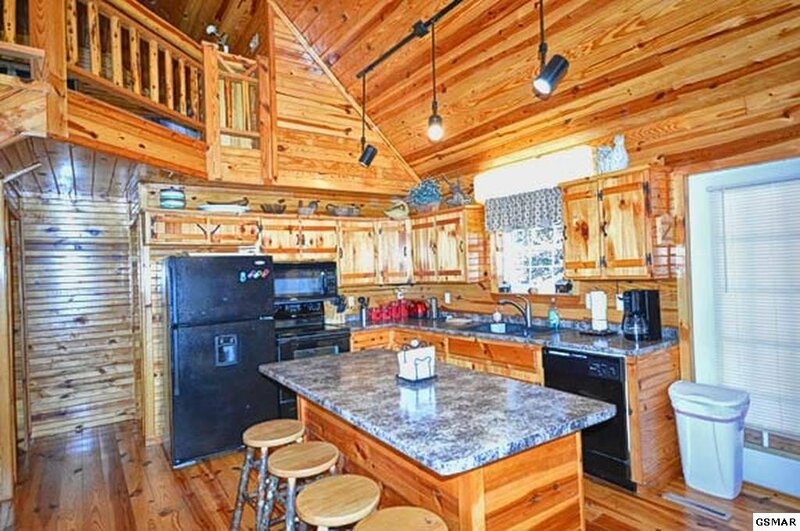 Beautiful and peaceful cabin in the Wears Valley area, but still close to all the area attractions. 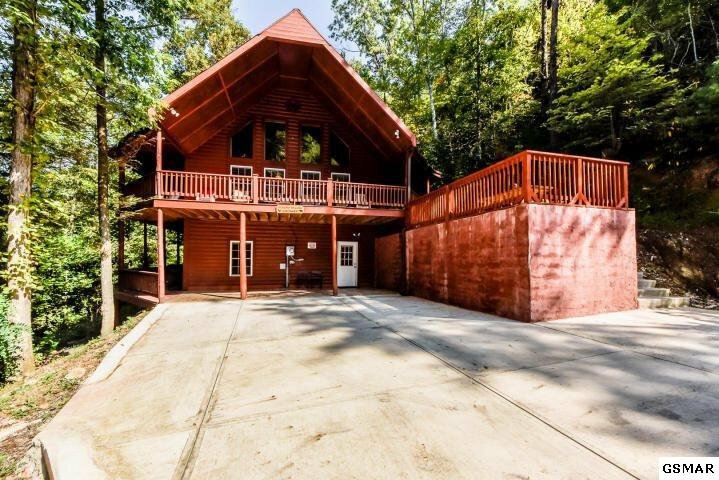 The driveway has been re-done to allow for plenty of parking with no steep hills! 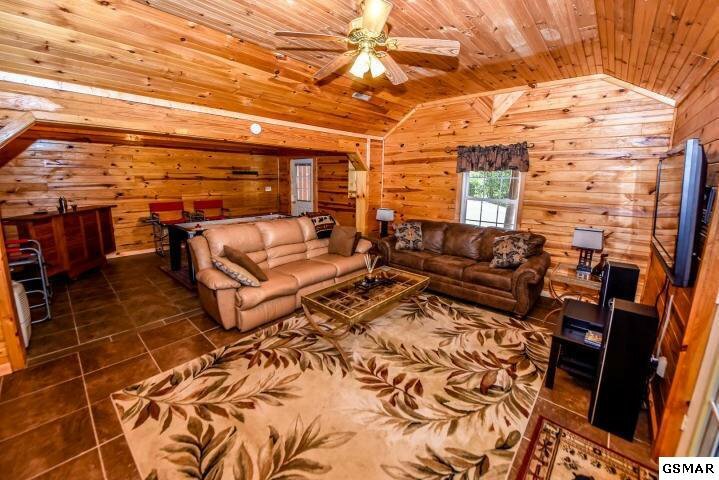 Open floor plan that is great for family get-togethers and vacations. 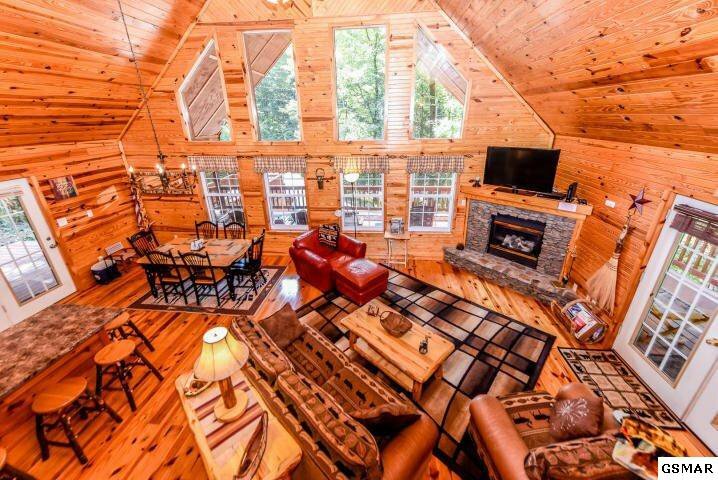 Large cathedral ceiling allows for lots of natural lighting. 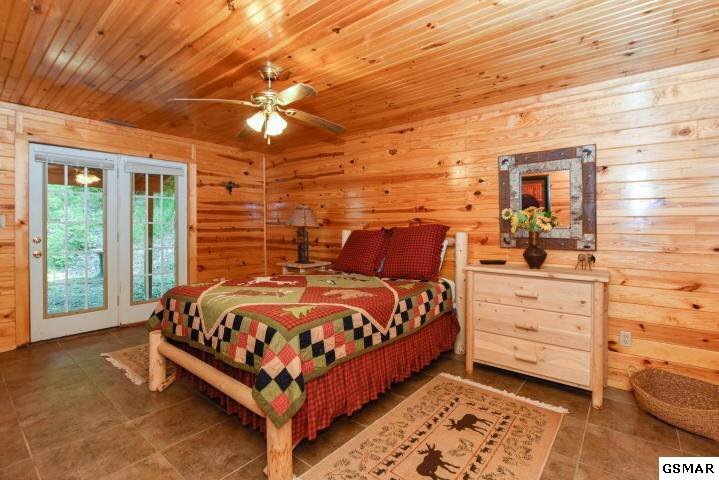 Master bedroom on the main level, loft with 2 twin beds, Queen bed in basement. 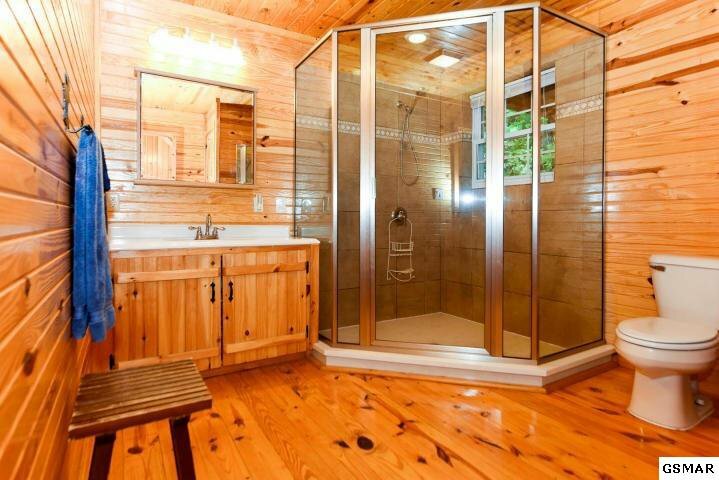 Recently Renovated upstairs bathroom to include tile surround shower. 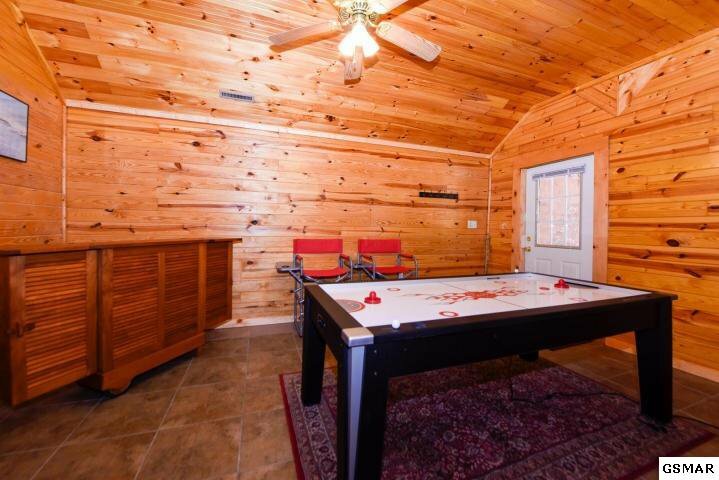 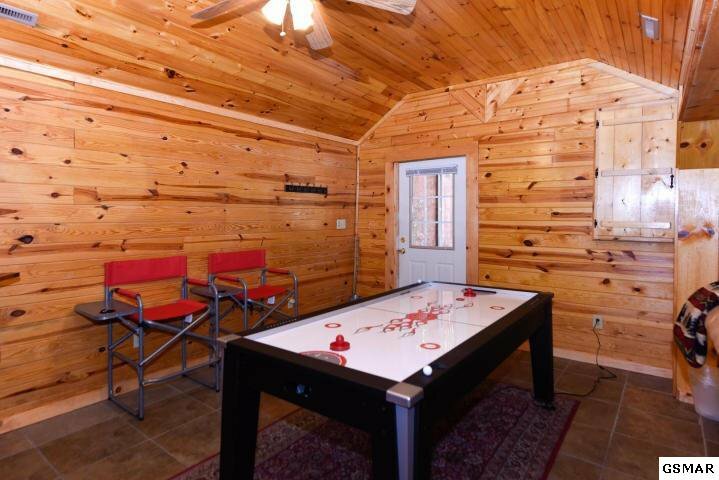 Basement also has new tile floors, new furniture, air hockey table, dry bar are, and so much more! 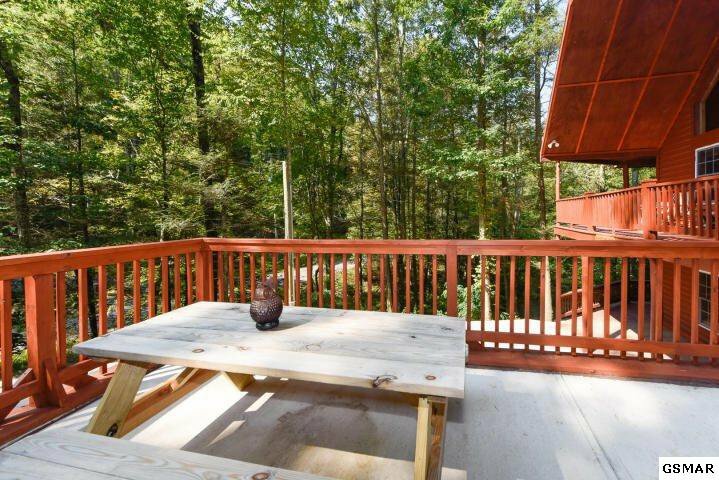 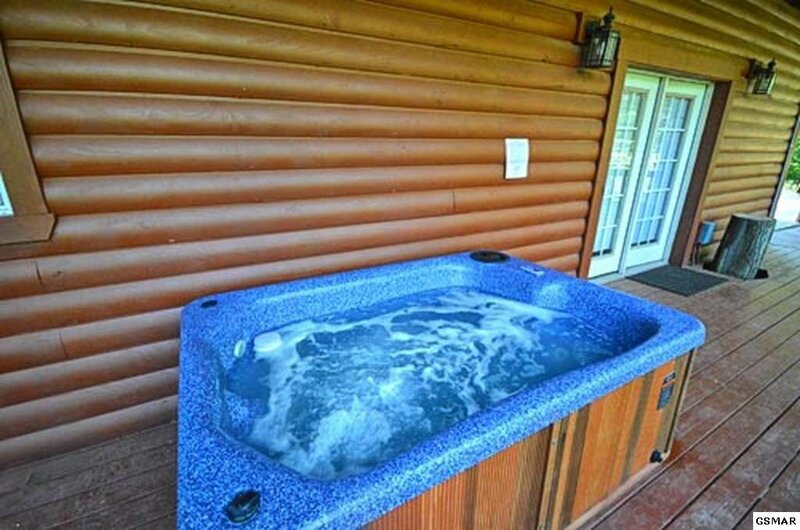 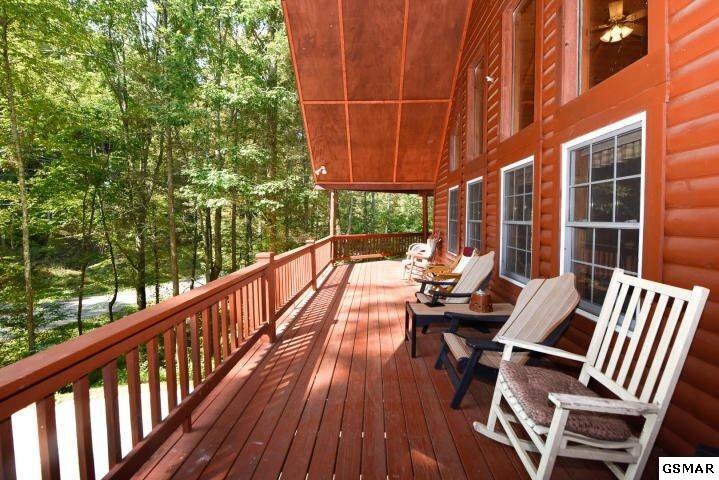 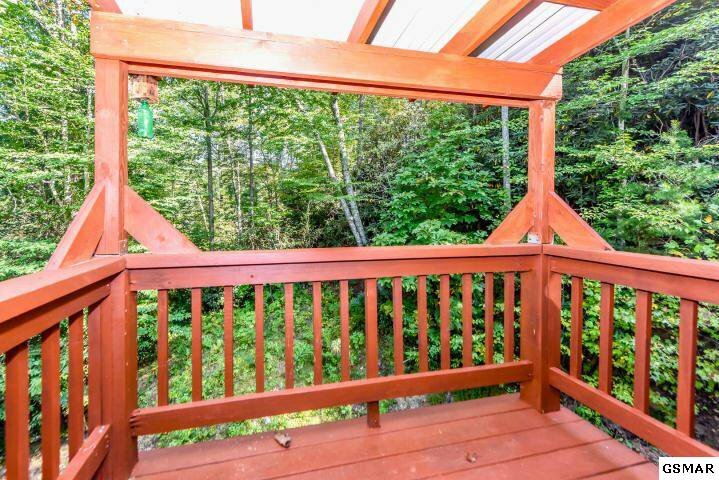 Enjoy sitting out on the wrap around deck in the hot tub or having a picnic on the porch.